“I feel strongly, with you, that there was something more than a physical pleasure in those youthful activities. Even now, at my age, do we often have a purely physical pleasure? Well, perhaps, a few of the more hopelessly prosaic ones: say, scratching or getting one’s shoes off when one’s feet are tired. I’m sure my meals are not a purely physical pleasure. All the associations of every other time one has had the same food (every rasher of bacon is now 56 years thick with me) come in: and with the things like Bread, Wine, Honey, Apples, there are all the echoes of myth, fairy-tale, poetry, and Scripture. So that the physical pleasure is also imaginative and even spiritual. Every meal can be a kind of lower sacrament. ‘Devastating gratitude’ is a good phrase: but my own experience is rather ‘devastating desire’– desire for that-of-which-the-present-joy-is-a-Reminder. 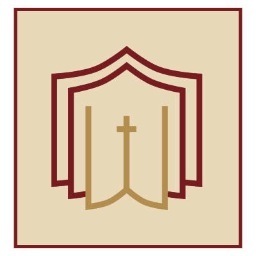 –C.S. Lewis, “To Mary Van Deusen” (March 3, 1955) in The Collected Letters of C.S. Lewis: Narnia, Cambridge, and Joy 1950-1963, Volume 3 (Ed. Walter Hooper; New York: HarperCollins, 2007), 583-584. “What is the world? What is it for? It is art. It is the best of all possible art, a finite picture of the infinite. Assess it like prose, like poetry, like architecture, sculpture, painting, dance, delta blues, opera, tragedy, comedy, romance, epic. Assess it like you would a Fabergé egg, like a gunfight, like a musical, like a snowflake, like a death, a birth, a triumph, a love story, a tornado, a smile, a heartbreak, a sweater, a hunger pain, a desire, a fulfillment, a desert, a dessert, an ocean, a leap, a quest, a fall, a climb, a tree, a waterfall, a song, a race, a frog, a play, a marriage, a consummation, a thirst quenched. Assess it like that. And when you’re done, find an ant and have him assess the cathedrals of Europe. This painting is by an infinite Artist. It is a reflection of Himself (could there be a better subject? ), worked out in colors, lives, and constellations, in a universe that to us seems endless but is to Him a mere frame, a small space, a confining challenge for His artistry. –N.D. Wilson, Notes From the Tilt-A-Whirl (Nashville: Thomas Nelson, 2009), 83. Oil on canvas. Sanssouci of Potsdam, Germany. –Francis Schaeffer, Art and the Bible (Downers Grove, IL: InterVarsity, 1973), 91. 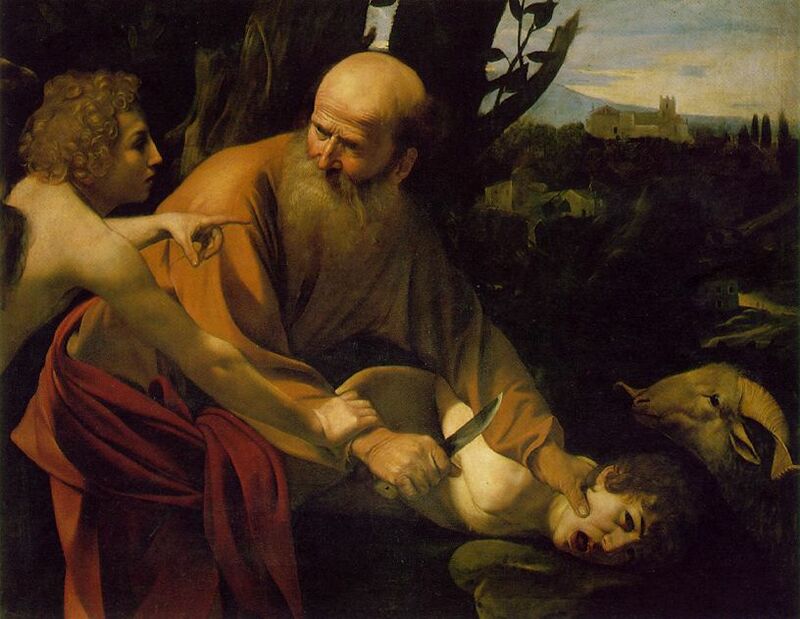 And Abraham took the wood of the burnt offering and laid it on Isaac his son. And he took in his hand the fire and the knife. So they went both of them together. And Isaac said to his father Abraham, “My father!” And he said, “Here am I, my son.” He said, “Behold, the fire and the wood, but where is the lamb for a burnt offering?” Abraham said, “God will provide for himself the lamb for a burnt offering, my son.” So they went both of them together. 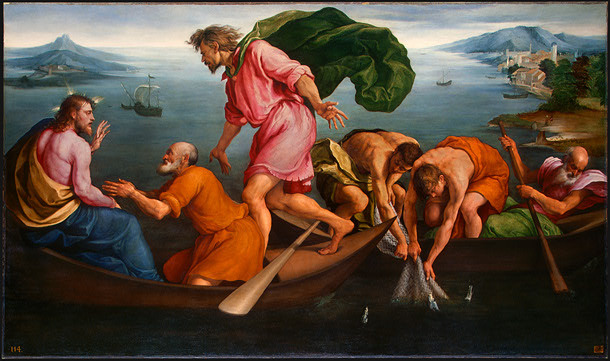 Oil on canvas, National Gallery of Art, Washington, D.C.
On one occasion, while the crowd was pressing in on him to hear the word of God, he was standing by the lake of Gennesaret, and he saw two boats by the lake, but the fishermen had gone out of them and were washing their nets. Getting into one of the boats, which was Simon’s, he asked him to put out a little from the land. And he sat down and taught the people from the boat. And when he had finished speaking, he said to Simon, “Put out into the deep and let down your nets for a catch.” And Simon answered, “Master, we toiled all night and took nothing! But at your word I will let down the nets.” And when they had done this, they enclosed a large number of fish, and their nets were breaking. They signaled to their partners in the other boat to come and help them. And they came and filled both the boats, so that they began to sink. 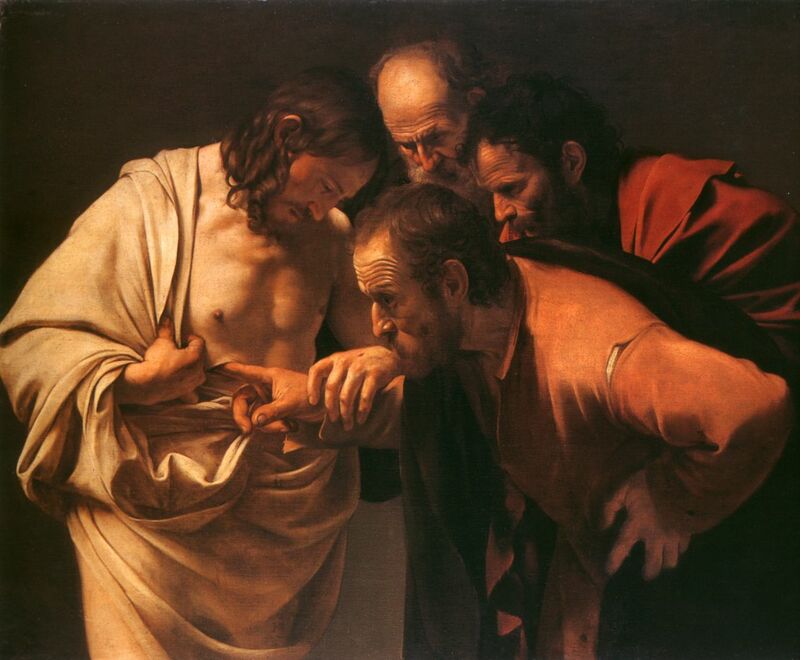 But when Simon Peter saw it, he fell down at Jesus’ knees, saying, “Depart from me, for I am a sinful man, O Lord.” For he and all who were with him were astonished at the catch of fish that they had taken, and so also were James and John, sons of Zebedee, who were partners with Simon. And Jesus said to Simon, “Do not be afraid; from now on you will be catching men.” And when they had brought their boats to land, they left everything and followed him.